Politicians are known to be secretive regarding their social histories. Often—as was the case with former South Carolina governor and future U.S. representative Mark Sanford—this relates to the sexual history. For New Jersey governor Chris Christie, it was his diet and exercise (or lack thereof) that dogged him for years. He had never stated his weight to reporters, essentially telling them it’s none of their business. However, earlier this week, Christie made headlines when he opened up to the New York Post about his obesity and the treatment he elected to undergo when more conservative measures failed. He and his aides admitted that he had a laparoscopic gastric banding procedure performed on February 16 at New York University’s Langone Medical Center. Dr. George Fielding, who also led the same operation on New York Jets coach Rex Ryan, was the attending surgeon. The procedure occurred shortly after a former White House doctor warned that Christie could experience a heart attack or stroke in the coming years if he didn’t resolve his obesity, to which Christie answered, “Shut up.” However, it doesn’t appear that the testy exchange played any role in Christie opting for the procedure. That decision was made last September shortly after turning 50, for the benefit of himself, his wife and their children, according to Christie. He has reportedly lost 40 pounds since the operation, from the 300-350 pounds journalists estimated that he previously weighed. Given his name being tossed around as a potential future Republican party presidential nominee, Christie overtakes “Today Show” weatherman Al Roker as the most famous American to openly discuss his weight-reducing surgery. While the media debate whether the bariatric surgery is an attempt for Christie to gain political weight, let’s review obesity, as related to internal medicine practice and the ABIM exam. 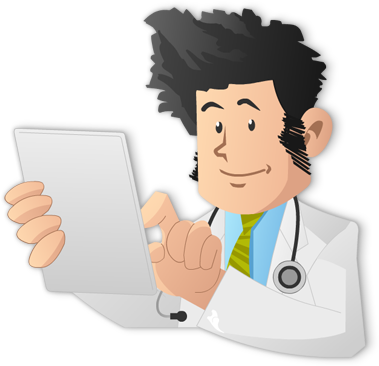 Treatment for any overweight or obese individual begins with lifestyle modifications and diet improvement. Increasing aerobic exercise to about 30 minutes a day 5-7 days/week, decreasing portion sizes, and lowering fatty and high carbohydrate content are all components of weight loss plans. 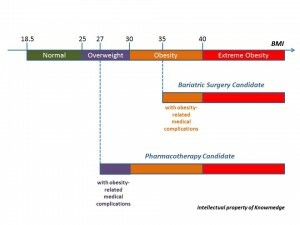 Pharmacotherapy can be considered in patients with any degree of obesity or a BMI≥27 with obesity-related complication (e.g. diabetes, hypertension, dyslipidemia, sleep apnea). Orlistat decreases fat absorption by inhibiting the intestinal enzyme lipase (responsible for metabolizing fat) and can be prescribed for up to four years. It’s not surprising then that side effects of this over-the-counter medication relate to malabsorption (e.g. abdominal cramping, fatty/oily stools, bloating) can result in about 30% of patients. All of the other medications—sibutramine, benzphetamine, diethylpropion, phendimetrazone, and phenteramin—belong to the sympathomimetic category. Aside from sibutramine (which may be prescribed for up to two years), none are approved for long-term use. They act centrally by inhibiting the reuptake of serotonin and norepinephrine in the CNS. Their side effects are more serious than orlistat; tachycardia, hypertension, xerostomia, constipation, insomnia, and anorexia can result. Unfortunately, several studies have demonstrated recurrent weight gain resulting from cessation of any anti-obesity medication. 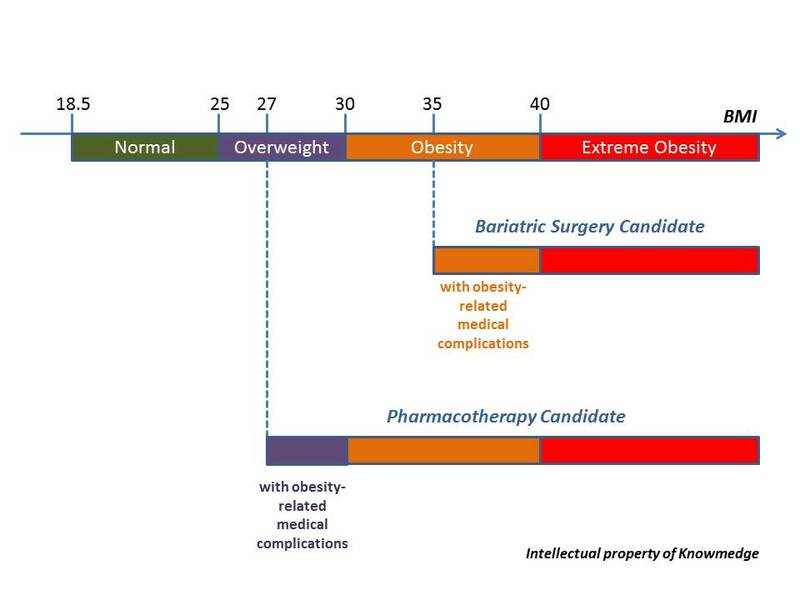 Surgical intervention is offered to patients with extreme obesity or BMI ≥35 with obesity-related complications (e.g. diabetes, severe joint disease, obesity-related cardiomyopathy, and sleep apnea). The two most common types of bariatric surgical procedures are laparoscopic adjustable gastric banding and Roux-en-Y gastric bypass surgery. Simpler and less invasive than gastric bypass surgery, gastric band surgery–the type that Christie underwent—is also considered less effective. It was once the darling of bariatric surgeons after arriving in the US in the early 2000s. A silicone cuff surrounds the upper portion of the stomach and can be filled with increasing amounts of saline to reduce the amount of food that leads to satiety. On average, patients lose around 25-30% of their excess weight after gastric banding procedures. Potential complications include intractable nausea and vomiting, band erosion, and severe GERD. In addition to drastically restricting the size of the stomach to a 10-mL pouch, Roux-en-Y shortens the length of the small bowel that is involved in absorbing food contents. It leads to 60-70% excess weight loss but makes patients more susceptible to nutritional deficiencies such as vitamin B12, iron, calcium, folic acid, and vitamin D. Other complications include anastomatic leaks, ventral hernias, wound infections and dumping syndrome. 30-day mortality is overall low but still 5 times higher than gastric band surgery: 0.5% versus 0.1%.